If you are thinking about buying property in Mexico, you may fine yourelf a little confused, maybe even a little afraid. While there are some differences in the process of buying Mexican real estate, rest easy. Vista Properties is experienced and can help you navigate the process. Following is some general information about what is involved in real estate transactions in Mexico. Can foreigners really own property in Mexico?" The answer is yes! Foreigners wishing to own property within 100 km of the national border, within 50 km of the coastline and all of Baja California Sur and Norte must use a “fideicomiso” (fee-day-e-co-me-so) in order to acquire rights to the land. Many people assume that a fideicomiso is a lease, but in fact it is not. The fideicomiso is a bank trust, very similar to a family trust. As a beneficiary of a fideicomiso, you have the legal right to sell, mortgage, lease, build and leave the property to your heirs without a probate as a substitute beneficiary. Your trust (property) is not considered an asset of the bank. The bank is only the administrator and has no rights to your property other than collecting the yearly fees, which range from $400 - $500 US. The trust has a 50-year term and can be renewed for an additional 50 years. After that time, a new trust must be established, but this doesn’t affect the rights of the beneficiaries of the trust. Is a fideicomiso a reliable document? Again, the answer is yes. With more than 100,000 bank trusts already in existence in Mexico, you can be assured this is indeed a trustworthy, dependable way to purchase Mexican property. If you are concerned about the bank going bankrupt, the trust is automatically passed on to another banking institution that assumes the administrator duties. Who is involved in real estate transactions in Mexico? *It is important to note: A real estate transaction in Mexico is not considered adversarial. The parties, a willing buyer and a willing seller, agree on terms and then the closing agent is responsible for doing all the paperwork and passing it on to the notary. Some closing agents can also hold funds in escrow. All four are helpful in their respective areas in assisting with real estate transactions. 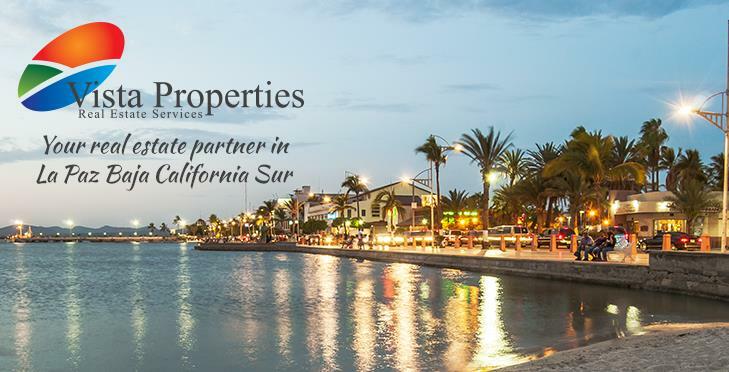 Because of the similarities of real estate transactions, in general, it is easy to assume that the basic terms and principles which are familiar in the U.S. and Canada also hold true in Mexico. Much of the paperwork is similar, true, but there are some aspects that are completely different. As a rule, a foreigner should assume nothing. Once again Vista Properties can be your guide throughout every step of the way. What are the differences when buying in Mexico? Probably the biggest difference is the Public Notary. The Notary plays an important role in real estate transactions in Mexico. A Public Notary in Mexico is nothing like a Notary Public in U.S. or Canada. A Notary Public in U.S. or Canada is essentially a witness to verify the true identity of a person signing a document. In Mexico a Notary Public (notario publico) is a public official appointed by the State Governor. He has the capacity to attest and certify documents, business and legal transactions and to review authenticity. He also provides for strict security of original records and documents. What should I expect to pay in closing costs in Mexico? *Assuming an existing fideicomiso from a foreign seller will save approximately $1,150 of this fee. No one likes surprises at closing. Vista Properties can explain the entire process to you, keep you on track throughout your purchase, and keep you informed to avoid any unwanted surprises! Gorgeous home in La Paz with pool, heated spa, sunroom and lots of extras! A LITERAL OASIS IN THE DESERT! This spacious home is located in a small quiet town outside of Centenario. Beautiful pool area. Perfect for the gardener.